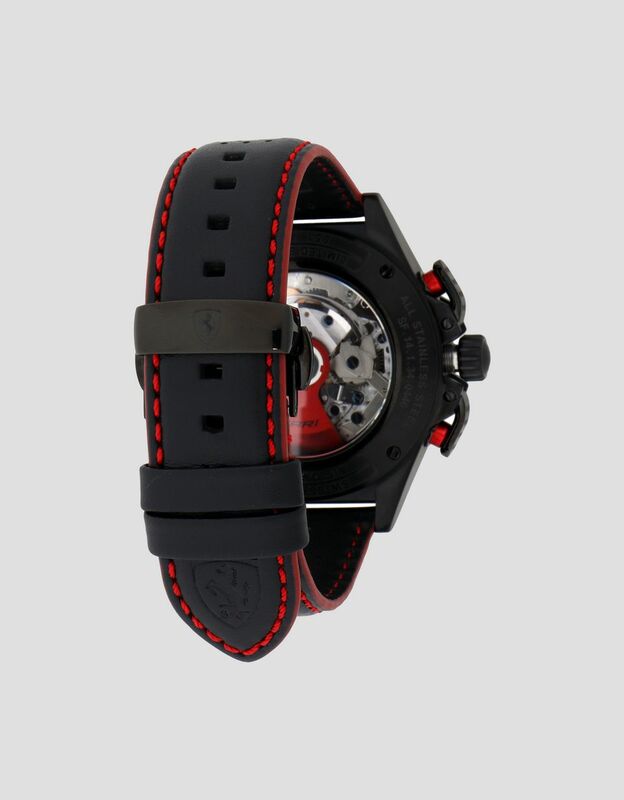 The classic athletic Pilota watch, released in a limited edition of 399 pieces, features a wide black dial and a perforated leather wrist strap. 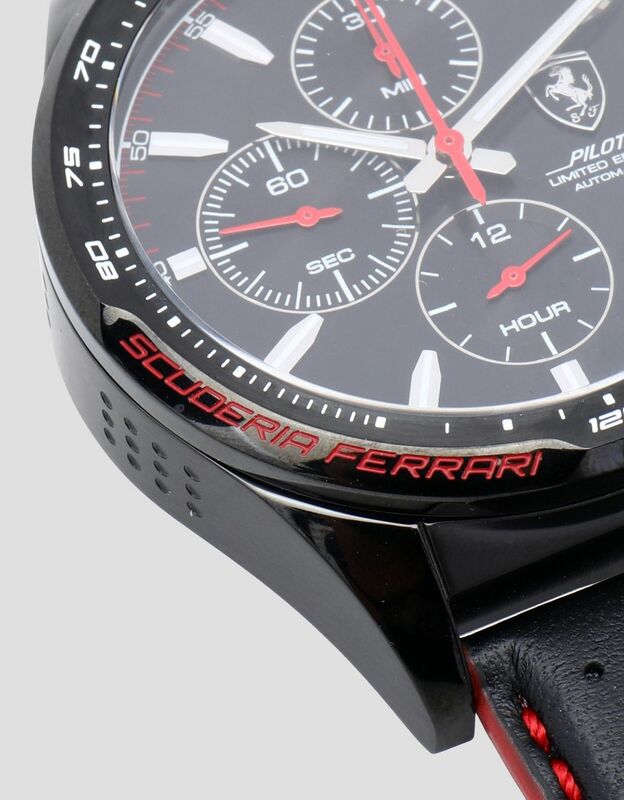 This limited-edition Pilota chronograph watch, made in Switzerland, exudes bold style and laid-back elegance. 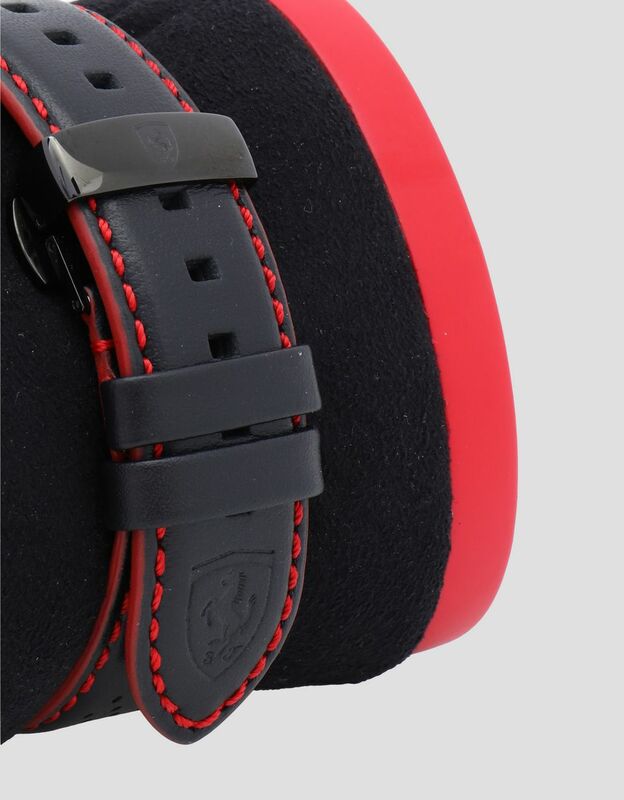 Its details reveal the watch's athletic spirit: the wide 45-mm black dial bears unique red and silver accents; the black leather wrist strap has distinctive perforations and is elevated by contrasting red stitching. 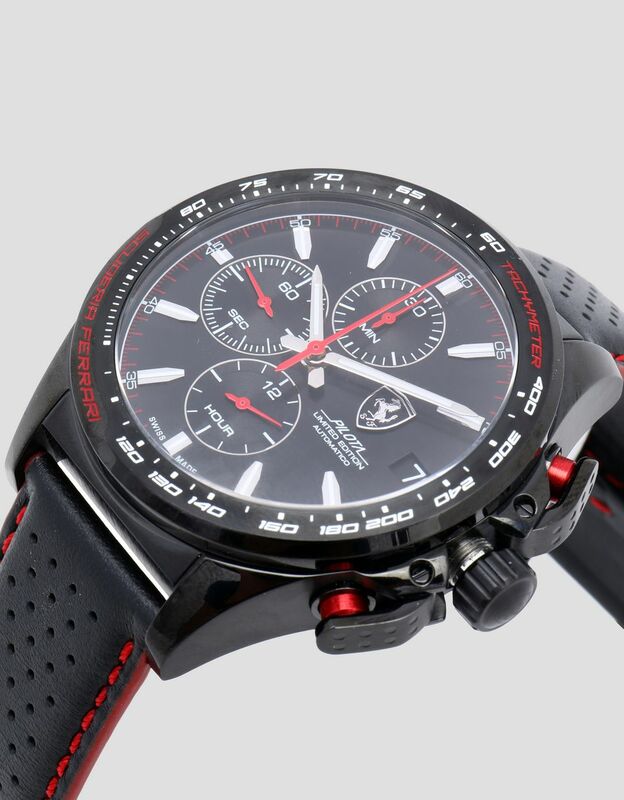 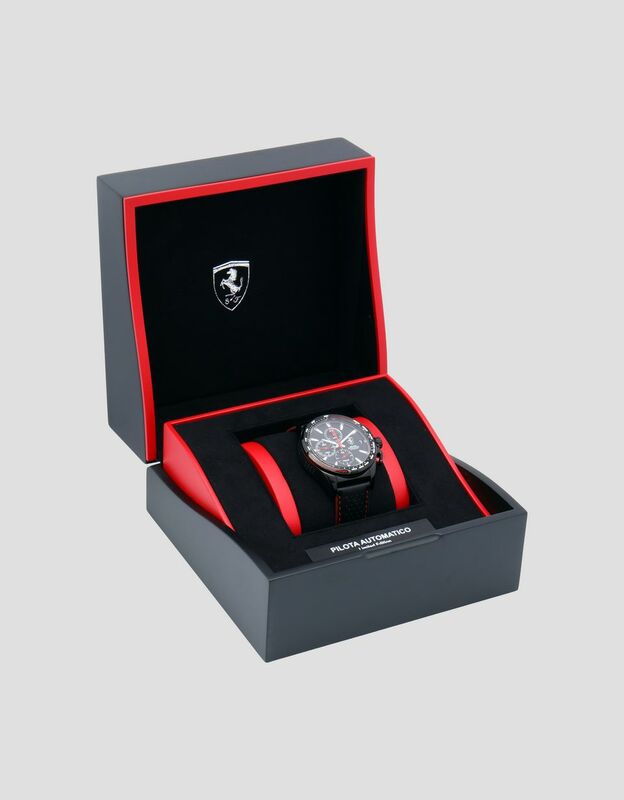 A tribute to athletic passion and a love for speed, the limited edition Pilota watch has an automatic chronograph movement and comes in an elegant black box with red edges. 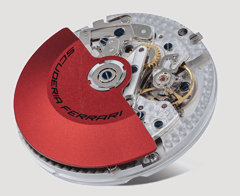 The Limited Edition Swiss Made Pilota chronograph is a self-winding watch adorned with 25 rubies, boasting a power reserve of 48 hours, and water-resistant to 10 bar or 100 meters. 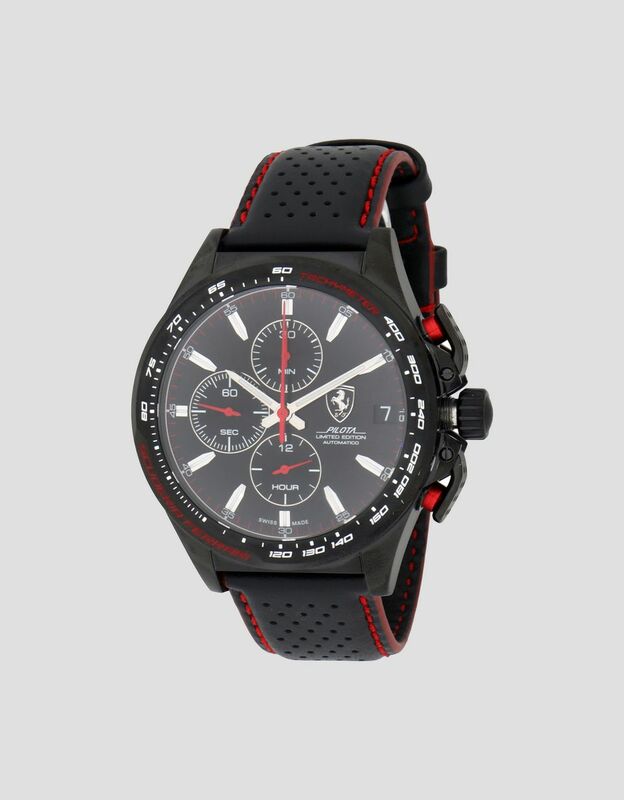 The renowned ETA Valgranges A07.211 Automatic Chronograph movement is characterized by a high oscillation frequency of 28,800 vibrations per hour for impeccable accuracy.